Horse racing is one of the oldest and best-known sports in the world, but it is not the only sport that features horses. In fact, there are a lot of equestrian sports, such as rodeo, polo, show jumping and many more. Three equestrian sports have been part of the Olympic Games since the 1990s: Dressage, Show Jumping and Eventing. Here is a short guide to how these sports are scored. Dressage is among the oldest equestrian disciplines. It tests horses’ training level, that is, how well a horse can perform predetermined movements and how willing it is to perform. In dressage competitions, all competitors do the same tests and their performance is evaluated by 7 judges. 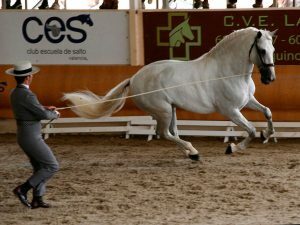 The tests include three types of gaits, walk, trot and canter, and movements such as pirouettes, the half-pass and the piaffe. Judges score every movement based on how well the rider and the horse do it, how accurate the movement is, how obedient the horse is and how smooth the ride is on a scale from 0 to 10. The winner is the rider with the highest total score. In show jumping, riders and their horses need to jump over 10 to 16 obstacles without knocking them down. There is also a time limit within which the riders have to complete the tasks. When it comes to scoring, competitors can only get negative points, so the winner is the one with the lowest score. Riders get 4 negative points if the horse knocks down a pole, stops before a pole, jumps into water or goes around the obstacle. Riders are eliminated if they fall off the horse, if the horse disobeys the command more than three times or if they don’t start or finish on time. Eventing lasts three days and is a combination of dressage, show jumping and cross-country. On the first day, riders compete in dressage and their score is converted to negative points, which are transferred to the second stage – cross-country. In this part of the event, riders and their horses have to jump over 40 obstacles that include logs, wood piles and ditches with water. The scoring is done the same way as in show jumping, only this time negative points range from 4 to 20 and riders can be eliminated if they ride dangerously and don’t have proper equipment, and if the horse goes around an obstacle or doesn’t follow the correct order and direction of obstacles or disobeys the rider 4 times. The points are transferred to the third stage where riders compete in show jumping. The winner of the whole event is the one with the lowest total score.